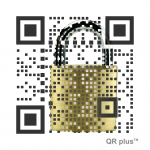 mobiLead, 2014 Red Herring Europe Top 100 winner, world pioneer in QR Code, NFC and IoT technologies, today announced that it has joined the SYSTEMATIC cluster, and its technology group Digital Trust and Security. The security risks in the Internet of Things field cannot be treated without significant innovations in software technology and architecture. Solutions must also address some critical challenges such as privacy by design, interoperability, performance and scalability. 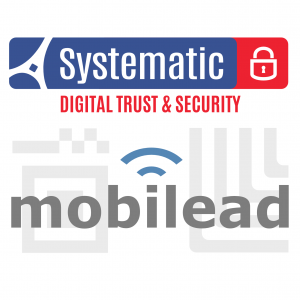 Because of its commitment to promoting standards and best practices, its technical expertise, mobiLead is proud to join the SYSTEMATIC cluster. As a France Brevets selected partner, an investment fund dedicated to international patent licensing, mobiLead holds several patents in the Internet of Things field, enabling the creation and management of billions of unique and secured identifiers. mobiLead is involved in interactive packaging, unitary tracking, brand protection and anti-counterfeiting solutions. From the 2nd to the 5th of March 2015, in partnership with Business France (formerly Ubifrance), mobiLead will showcase its technology on the French Pavilion (Hall 5 Stand 5B61) at Mobile World Congress in Barcelona, Spain. 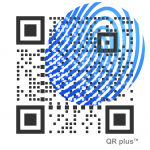 mobiLead, Internet of Things enabler, develops and operates a disruptive NFC and QR Code tag management platform that makes linking upwards of billions of individual manufactured objects, products packaging, and documents to value added online services. mobiLead is an expert on NFC, QR Code and the Internet of Things technologies (IoT) at AFNOR, member of ISO (International Organization for Standardization). mobiLead is a member of AIPIA, CNRFID, participates in W3C and GS1 initiatives. At the heart of digital and software development infrastructures, the Systematic Cluster for International Competitiveness in the Paris Region brings together more than 800 key players in the sectors of industry, SMEs and science at the intersection between eight technological markets with a strong social dimension (Transport, Energy, Telecoms, Security, Health, Smart Cities, Information Systems and the Factories of the Future) and two areas of technology (Free & Open Source Software and Complex Systems). Through its nine Technology Groups, Systematic Paris-Region manages a whole community and deploys its expertise to encourage collaborative innovation. To date, Systematic Paris-Region has facilitated the development of nearly 460 R&D projects, representing an overall R&D investment of approximately 2.5 billion euros and a total of 820 million euros in subsidies from the French State, development agencies (ANR, EUREKA, FEDER, bpifrance) and territorial bodies. In addition to collaborative R&D, Systematic Paris-Region’s mission is also to develop an ecosystem for growth that is conducive to the development of SMEs into middle-market companies, through its AMBITION PME program. This ecosystem brings together more than 800 SMEs, accounting for more than 35,000 jobs in the Software, Systems, Optics and Electronics sectors. Systematic Paris-Region is also committed to increasing the attractiveness of the region, the Cluster, its area of specialization and its key players to foreign investors in order to attract skills and companies, encourage and support export initiatives by member SMEs and ensure that the Cluster and its members play a key role in developments at European level.